Our 2017 course winterization is now in full stride. The pesky leaves are finally falling at a faster clip and each day brings us one day closer to having that time consuming process finished for the year. 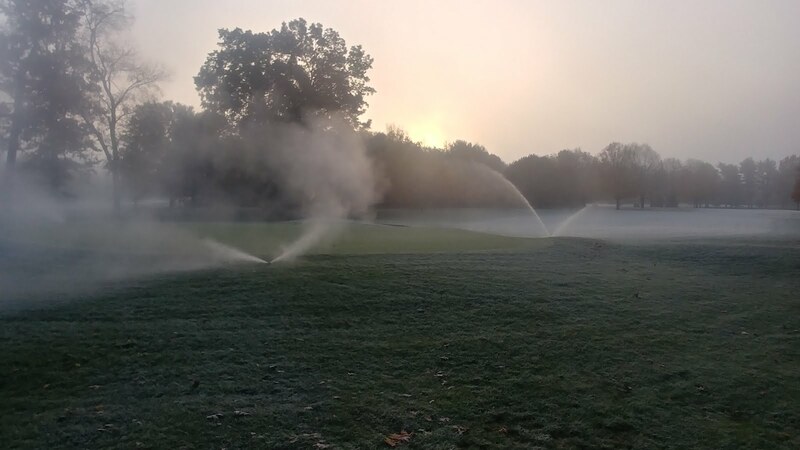 The irrigation system was successfully blown out and put to bed last week. This process utilizes an industrial sized air compressor that fill the pipes with a high volume air flow at a lower pressure to flush out as much water from all piping and rotors as possible. This process takes us about 2.5 days to complete and is one that I am happy to finish with no major issues! 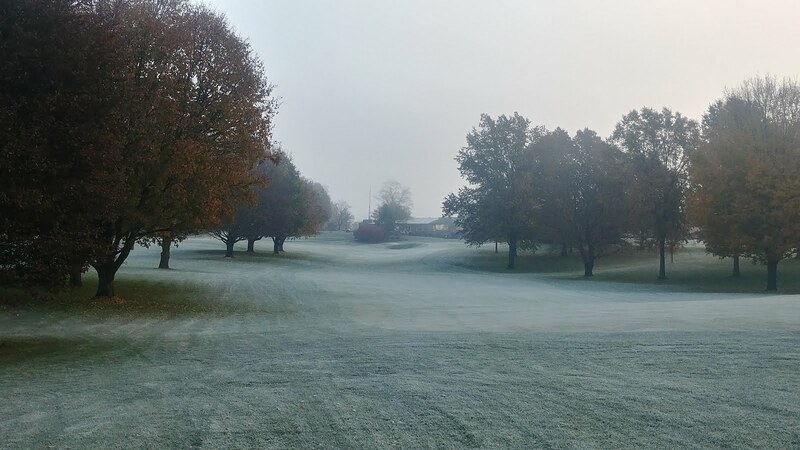 Plant protectants have been applied to greens, tees, and the practice facility to help guard against snow mold infection. Fairways and green surrounds will receive their application later this week or early next week, depending on the weather conditions. Finally, this coming Monday we will be applying our final topdressing to the putting surfaces. This last application is a much heavier application than normal, and is not normally broomed in. This is to maximize the protection and insulation the sand provides the Poa annua that is predominant on the greens at Elcona. 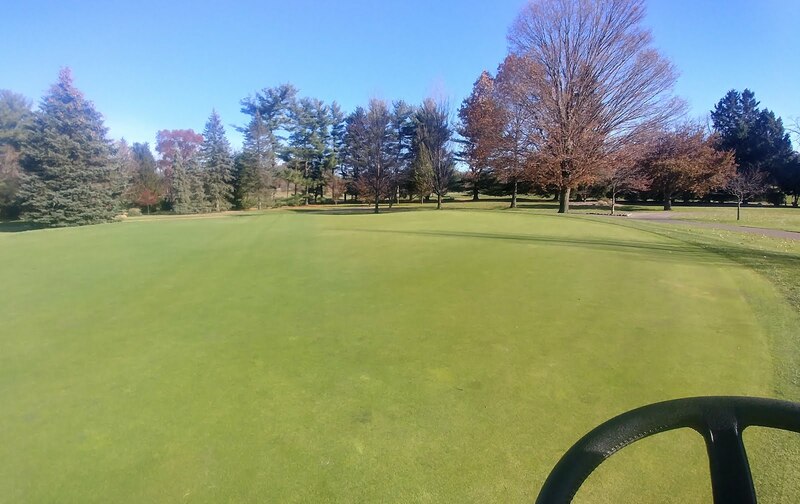 The above picture of 1 green shows what last year’s application looked like after a rain event washed the sand further into the canopy. 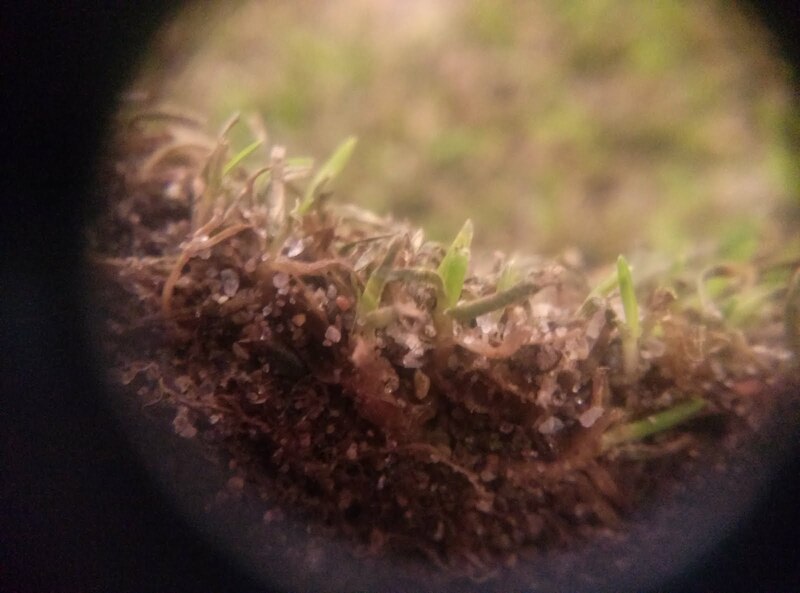 The close up view with a microscope shows how the sand tightly protects the crowns of the plant from winter desiccation and cold temperatures. 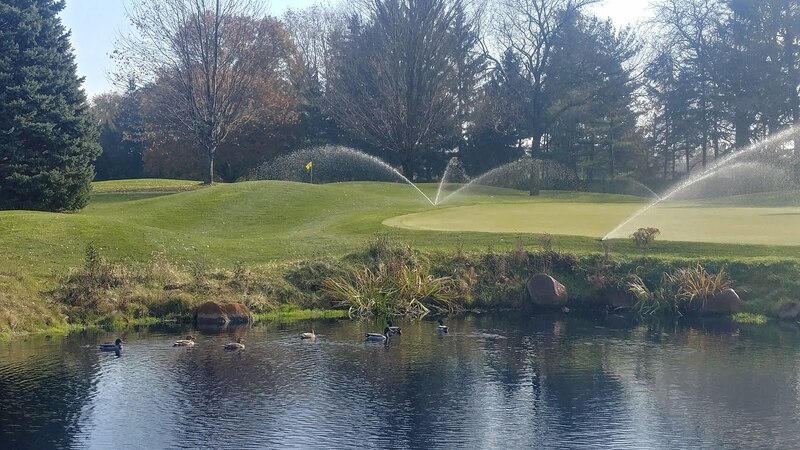 In our industry, we liken this final heavy application to putting a blanket on the greens and “tucking them in for the winter”. 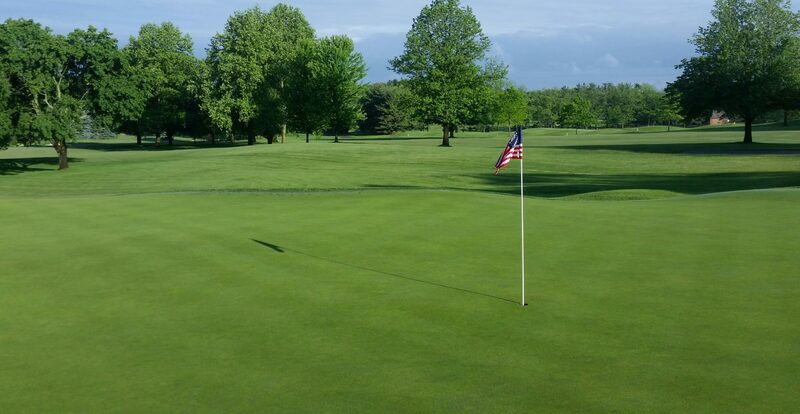 Bob Vavrek of the USGA has written a great article further explaining this application that you can access here. I hope that everyone has a very Happy Thanksgiving, as we all have so much to be thankful for. Be safe in your holiday travels, and I hope to see you out at Elcona soon!